As Social Media Marketers, we face many challenges. We are faced with the challenge of an ever-changing industry, clients who think they know it all and the fact that our work is out there for everyone to see. Due to all of the previously listed challenges, we are also faced with a lot of feedback and notes from our employers and our clients. All of this can lead to frustration, annoyance, anger and fear of the work. Well, fear not! 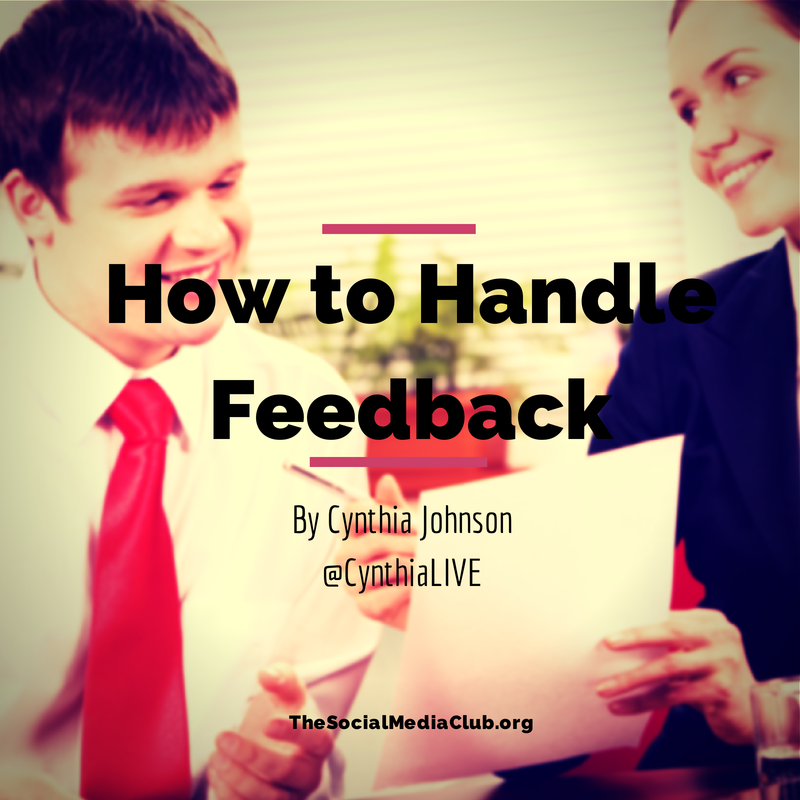 I am going to share a few tricks that I use to handle feedback. Remember, we all get feedback. You are not alone. When clients or employers come to you with negative feedback on your work, having a backup plan will help you a lot. For instance, if they have an issue with the content you are posting or your strategy, you can present a second idea. Not only will this make you seem overly prepared (because you are), but you also get them to agree on a new plan of action. Having the second plan ready will allow for you to move forward in a direction that you know you are able to work, rather than being micromanaged later. If you are getting feedback, it is because something is not right with your work. We should always want to know what we are doing wrong, what we are doing well, and we should always want to be improving. Listen to the feedback and takes notes so that you can visit them later and at your own pace. Don’t ignore feedback. Being given feedback should always be a conversation, not an order or an argument. Avoid saying “yes” to everything. Be sure to voice your opinions and thoughts on the work. On the other hand, don’t get defensive. When people get defensive while being given feedback, it comes off as negative and argumentative. Listen and respond. People give feedback to help improve the process and grow a business. Remember that you and your employer or you and your client are on the same team. You should have the same goals for the campaign and the work. Try not to battle your teammate, instead try and have the best team possible. You were hired for the project you’re on, because you have a certain skill set. Let that knowledge and those skills be voiced. As long as you are respectful and have listened well, you may defend your choices and voice your opinion. At the end of the day, we must remember that knowledge is power. Knowing what our weaknesses are is one of the most beneficial tools we can possess. Open your ears and welcome feedback with a smile. Feedback is the best learning tool I know of and without it, we will never be able to find our faults and improve on them.